— A brand new slate of the nation’s top three emerged after last weekend’s performances. No. 1 Villanova retains the top spot they last held last year en route to a second-straight NCAA title. The Wildcats finished second to now-No. 2 Providence, 101-104, at Lehigh. No. 3 Florida State rose four spots from seventh after taking the top spot at Notre Dame this past weekend, besting five other nationally-ranked teams, including now-No. 11 Arkansas and then-No. 2 New Mexico. – At No. 8, Syracuse makes their first showing in the nation’s top ten this season. The Orange was third to Providence and Villanova, but topped then-No. 1 Georgetown at Lehigh’s meet. – No. 25 Notre Dame and No. 30 Clemson debut in the poll for the first time this season. For Clemson, it’s their first ranking since at least 1995. – The Big East and Pac-12 each have six teams in the national top 30 to lead the way among conferences. The ACC and Big Ten follow with five teams apiece. – A light weekend is ahead compared to last as only five ranked teams are slated to be in action. No. 1 Villanova will likely run a smaller group at the Jack St. Clair Memorial in Philly this weekend. No. 2 Providence will compete at the New England (NEICAAA) Championship. No. 14 Arizona goes to the Grand Canyon Invite, No. 15 Michigan State heads to the Michigan Intercollegiate Championships, and No. 21 Minnesota takes on the Pine Hill Invite. Others Receiving Votes: Vanderbilt 25, Yale 16, Texas Tech 14, Indiana 12, Kansas State 10, Connecticut 8, Tulsa 7, Dartmouth 7, Cornell 4, Missouri 2, San Francisco 1. Dropped Out: No. 25 Texas Tech, No. 30 Vanderbilt. 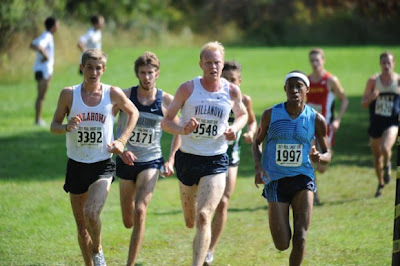 On the men's side, Villanova dropped one spot to 19th in the national poll after finishing fourth at Paul Short. 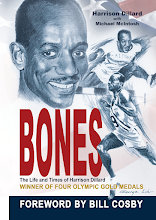 Next up is the Jack St. Clair Memorial race in Philadelphia this weekend. – No. 1 Oklahoma State and No. 2 Wisconsin are in the top two spots for the fourth week in a row … Two-time defending NCAA Champion Oklahoma State has been the top-ranked team since the preseason. – At No. 3, Oklahoma is making their first-ever appearance in the national top three. The Sooners won Lehigh’s Paul Short Run last weekend by a wide margin over five other nationally-ranked DI schools. – New to the top ten, BYU moved up eight spots to No. 6 after winning the Notre Dame Invitational last Friday over then-No. 10 Florida State, 46-93. – No. 18 Columbia debuts in the poll for the first time since at least 1998. 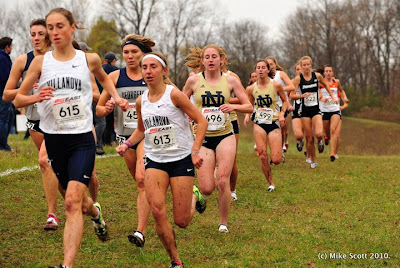 The Lions were third at the Paul Short Run, but topped four other top-20 teams on the course. – At No. 20 and No. 22, Washington State and UCLA are making their first showings to the poll this season, while at No. 27 Texas A&M is listed in the national top 30 for the first time since 2008. – The Pac-12 leads all conferences with six teams in the national top 25, followed by the Big East (4) and the Big Ten (4). – Seven ranked teams are schedule to compete this weekend in some form or fashion. No. 5 Iona and No. 18 Columbia have the New York Metro Championships this weekend at Van Cortland Park in the Bronx. No. 13 Northern Arizona and No. 23 Arizona State have an intrastate battle coming at the Grand Canyon Invite. Others Receiving Votes: Texas 28, Virginia 17, Lamar 11, Tulsa 11, Air Force 10, Notre Dame 8, Penn State 7, Ohio State 4, Iowa State 3, Brown 3, Virginia Tech 1.